Album Cover: Lil B "I'm Gay"
He caused tons of controversy when he revealed the titled of his forthcoming album, I&apos;m Gay, and now Lil B unveils the album&apos;s cover art showing us slavery and freedom. 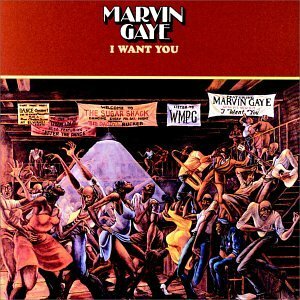 The cover pays homage to Marvin Gaye&apos;s cover for I Want You, which Camp Lo previously paid homage to on the art for Uptown Saturday Night. BasedGod revealed yesterday that he will be collaborating with Lil Wayne on a track set to appear on the Young Money emcee&apos;s upcoming Sorry 4 The Wait mixtape coming soon.